We are making new plans to utilize untapped potential energy. I am having surgery next week and then will be on crutches for a month so the kids are getting drafted! We always say many hands makes light work! We will be trying a middle of the road approach. Some chores will be assigned & not rotated. These will have a set time/day to be done. This will get the basics covered. However the “yucky” chores will be passed around. 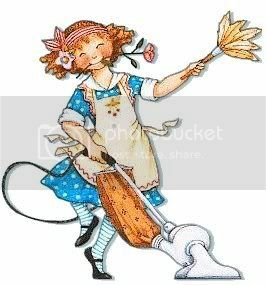 (ex changing the cat litter) So everyone will have the joy of doing an unwanted chore every once in a while as a service to our family. Daddy will be checking the zones for each kid after supper each night. Today was amazing! The kids pitched in and the house is so much cleaner & I did some but not a lot. This solution keeps us from having to get a cleaning lady while mom is down & out! Don't miss a post by liking Day to Day Adventures Facebook page. Or sign up to get our newsletter.